Have Questions? Contact Rehabs.com Below to Get Help Now. Looking for a perfect rehab facility in Kentucky for yourself or someone you love? Rehabs.com is the industry's leading source for luxury exclusive programs and can help you find the program that's right for you. Our alcohol and drug treatment facilities can help anyone get clean, whether the addiction is to Dicodid, Lorazepam, alcohol or any other illicit or doctor-prescribed medication. One of the important decisions when you or your loved one chooses between alcohol abuse rehabs in KY is deciding between Inpatient versus Outpatient Rehab. Many people are quick to pick outpatient rehab thinking it will be easier and more affordable. While this is the case sometimes, statistics show those choosing residential treatment in 48-day, 60-day or 90-day programs are more likely to succeed long-term. Wherever you decide to get rehab, the first step is making a choice! Should I Travel for the Best Addiction Treatment? Detaching yourself from the setting of your drug or alcohol addiction can help separate diversions and temptations that prevent complete sobriety. For those with private insurance or financial support, when viewing rehabilitation as a therapeutic shelter, it’s worth considering top facilities in other cities. Offering high-end hotel-like features, these centers help clients achieve a state of physical, mental and emotional recovery. However, those looking for lower cost options or outpatient programs may find a clinic close to their residence a less difficult choice. Still unsure whether to look for an outpatient or inpatient drug rehab center? You can reach us toll-free anytime at 1-888-341-7785 . Kentucky ranks 4th in treatment centers servicing/accepting active duty military per 100,000 residents. Delaware is ranked slightly worse, ranked 5. Wyoming is just 1 spot better, ranked 3 out of the United States. When adjusted for population, Kentucky ranks 5th in treatment centers servicing/accepting pregnant or post-partum women. Utah is ranked one spot worse at spot 6. Colorado is just 1 spot better, ranked 4 out of the United States. For computerized substance abuse treatment clients, Kentucky ranks 5th in population-adjusted treatment centers. Hawaii is ranked slightly worse, ranked 6. Maine is ranked one spot better at spot 4. Kentucky is 6th among U.S. states in treatment centers servicing or accepting sliding fee scale. Kansas is just 1 spot worse, ranked 7 out of the United States. One spot better is Vermont, ranked 5 in the U.S.
Kentucky ranks 6th in treatment centers servicing/accepting rational emotive behavioral therapy per 100,000 residents. South Dakota is just 1 spot worse, ranked 7 out of the United States. One spot better is Nebraska, ranked 5 in the U.S.
What Do We Really Know About Treating Prescription Opioid Addiction? You or your loved one have many options to consider if you're looking for the best-rated alcohol or drug rehab programs KY has to offer. With many exclusive and luxury choices available, insurance taken at many facilities and toll-free helpline consultants there to help you 24/7, we can help you or your loved one get permanently clean and sober! 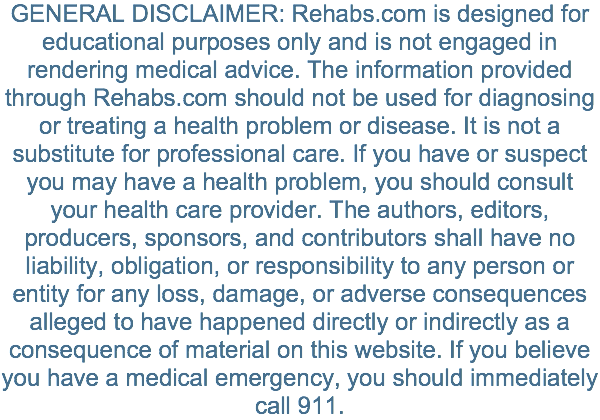 Rehabs.com will place you in contact with a trained advisor from one of our sponsoring treatment providers. For those seeking addiction treatment for themselves or a loved one, the Rehabs.com help line is a private and convenient solution. 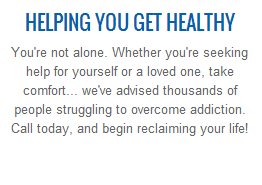 Caring advisors are standing by 24/7 to discuss your treatment options. If you wish to connect with non-sponsor centers, you can browse top-rated listings, visit our homepage and browse by state, or visit SAMHSA. To find out more about how Rehabs.com works, visit our FAQ.